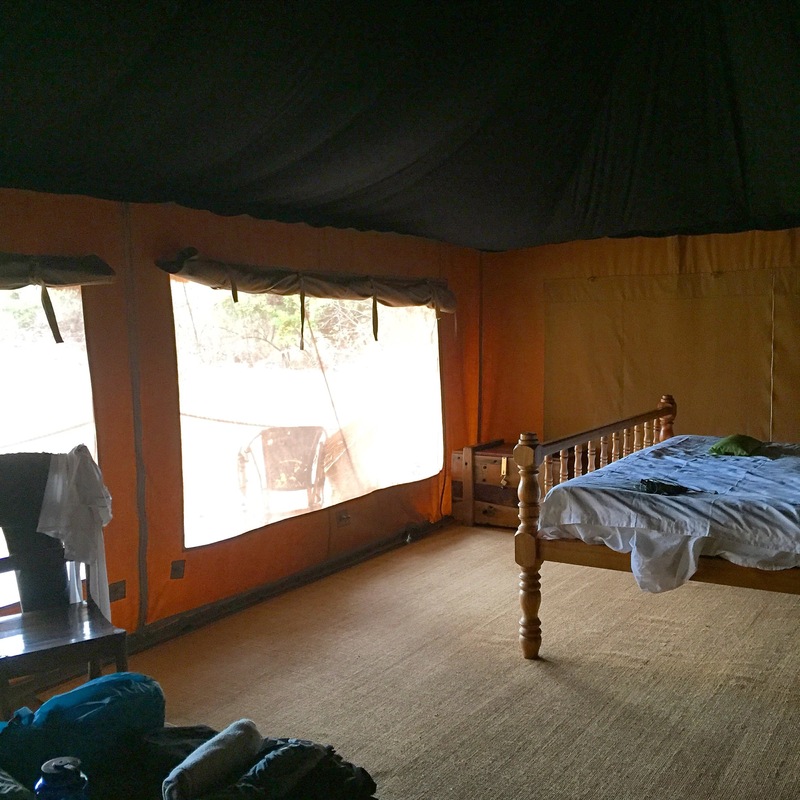 #9 – Ndarakwai Ranch (pre-trek) – Sounds Great, Let's Do It! 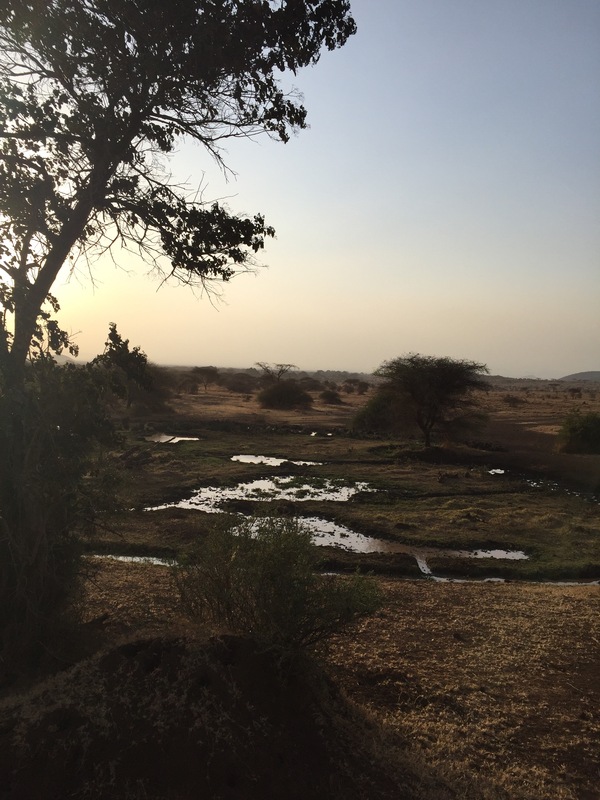 I arrived in Tanzania and have 3 nights at Ndarakwai Ranch before the trek starts. This place is fantastic! Photos below. 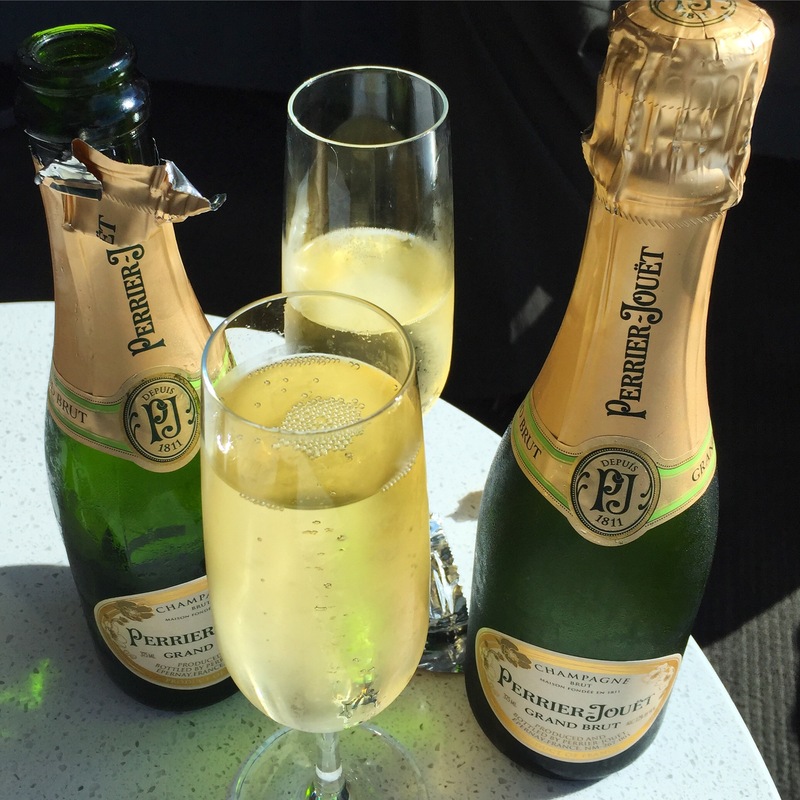 My husband and I had champagne in the Delta Air Lines lounge before taking off for Tanzania! Seeing Kilimanjaro airport in print made the trip seem that much more real. 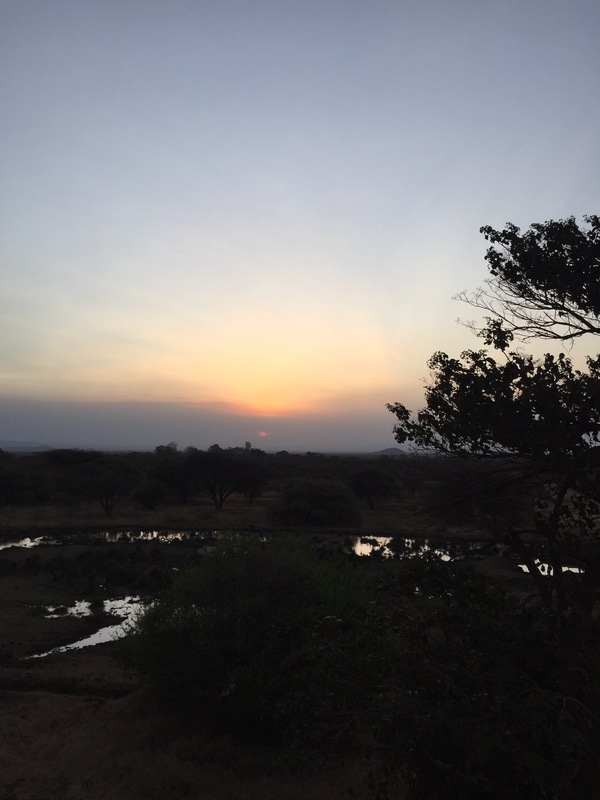 Our first few nights were at the most wonderful place called Ndarakwai Ranch. 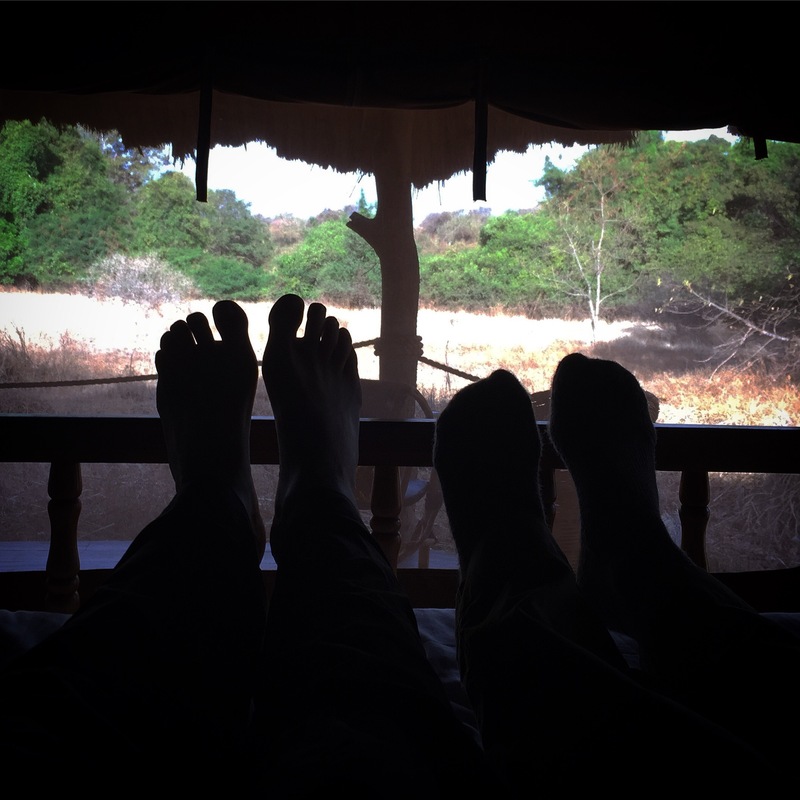 It’s on 11,000 acres and we slept in a safari tent where we could open up the tent ‘walls’ and see & hear the animals. 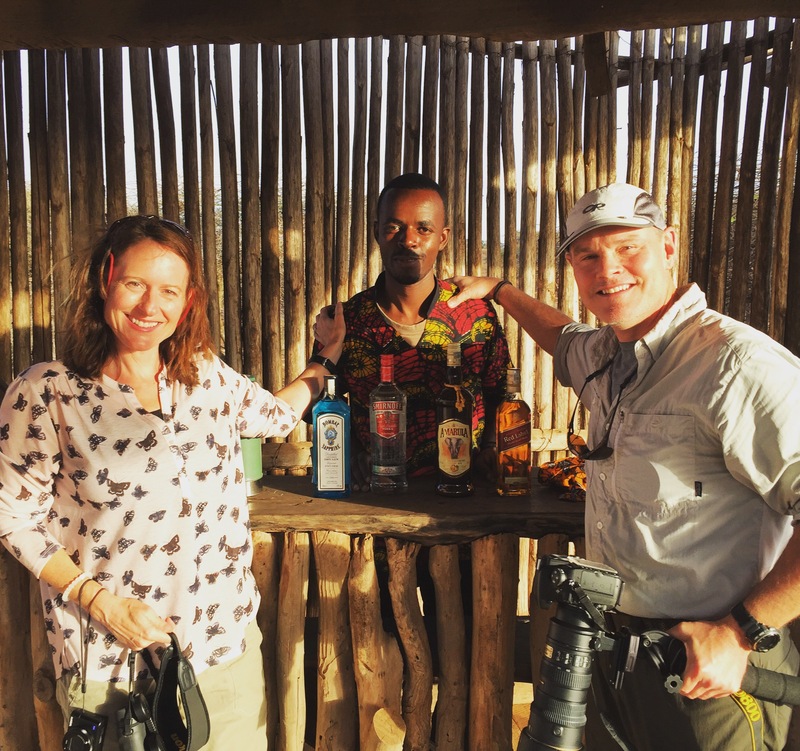 We saw so many animals on 2 game drives and 1 walking tour. 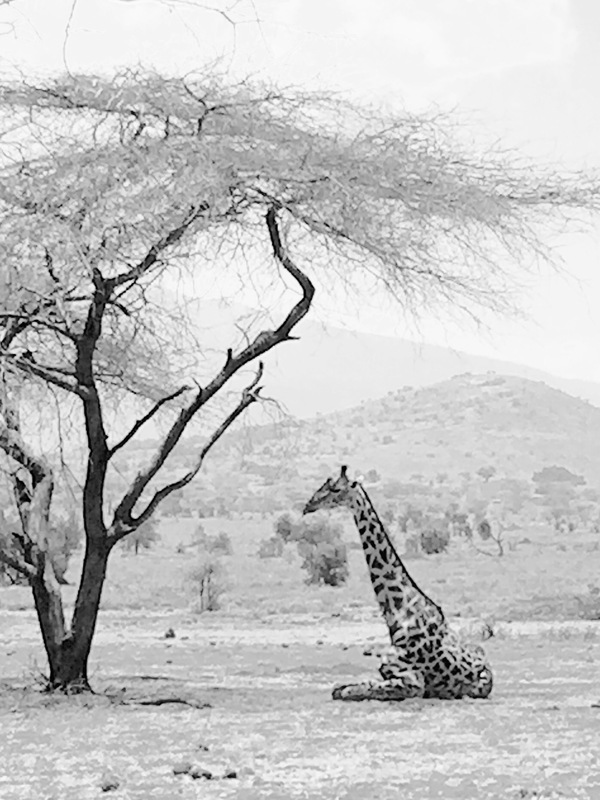 My very favorite thing was seeing this giraffe resting. I saw other giraffes, elephants, zebras, elands, impalas, and more. What a great place! 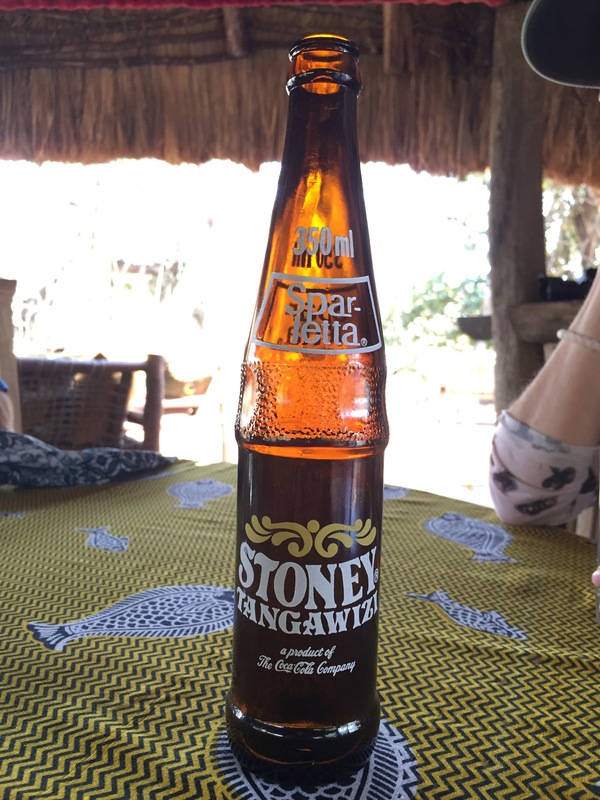 A ginger beer made by Coca-Cola. I took this photo for my Coca-Cola friends back in Atlanta. 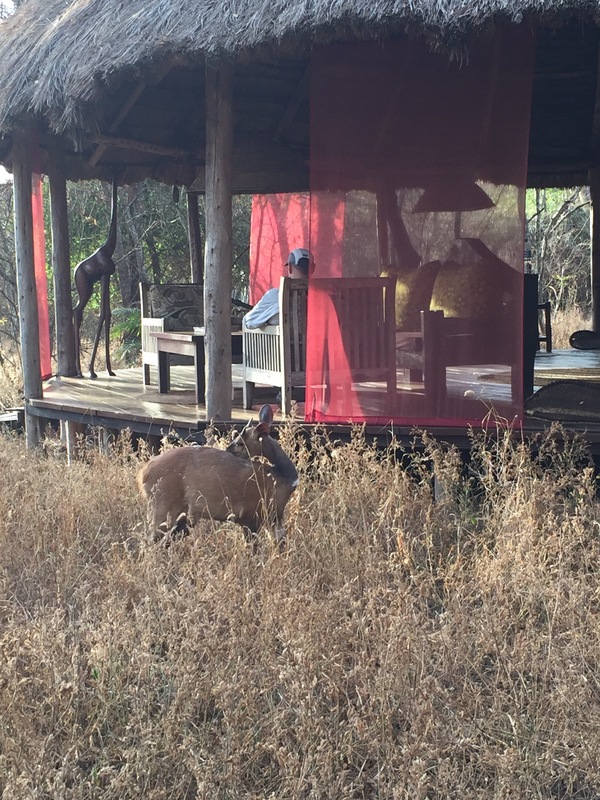 Nap time at Ndarakwai Ranch. We were in bed but felt like we were outside with the animals. The open air reception / lounge room. Impalas roamed the ranch. 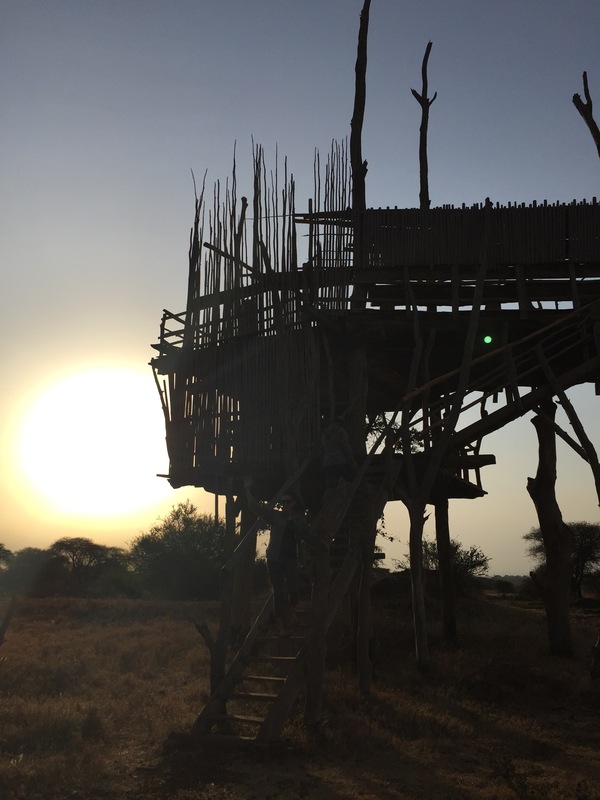 This is a treehouse set way high above a watering hole. We saw many zebras come to drink water. The watering hole. It’s been dry but October-December is a short rainy season so more water is coming soon. One of many gorgeous sunsets. 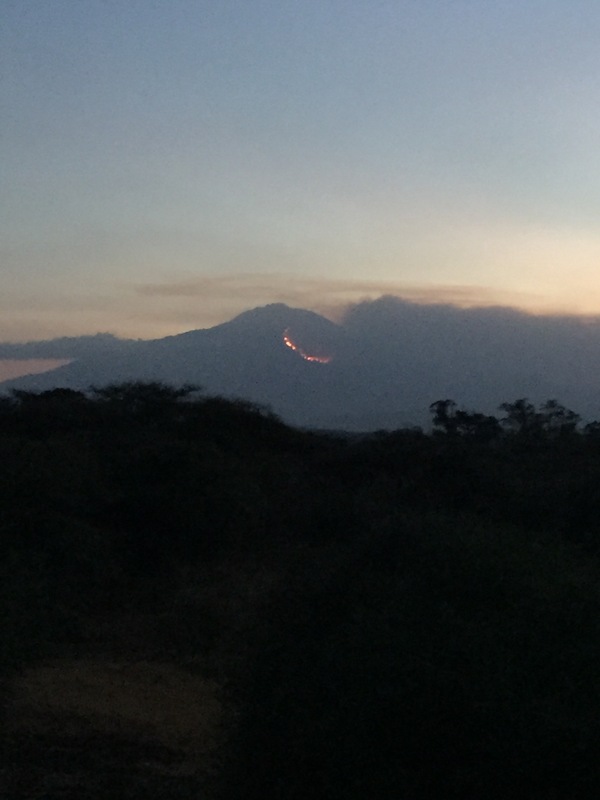 This is Mount Meru in the distance and we could see a fire blazing down the mountain. We learned later that farmers were clearing land for sugar cane and the fire got out of control. Frank – our bartender at the treehouse and our waiter for dinner each night. 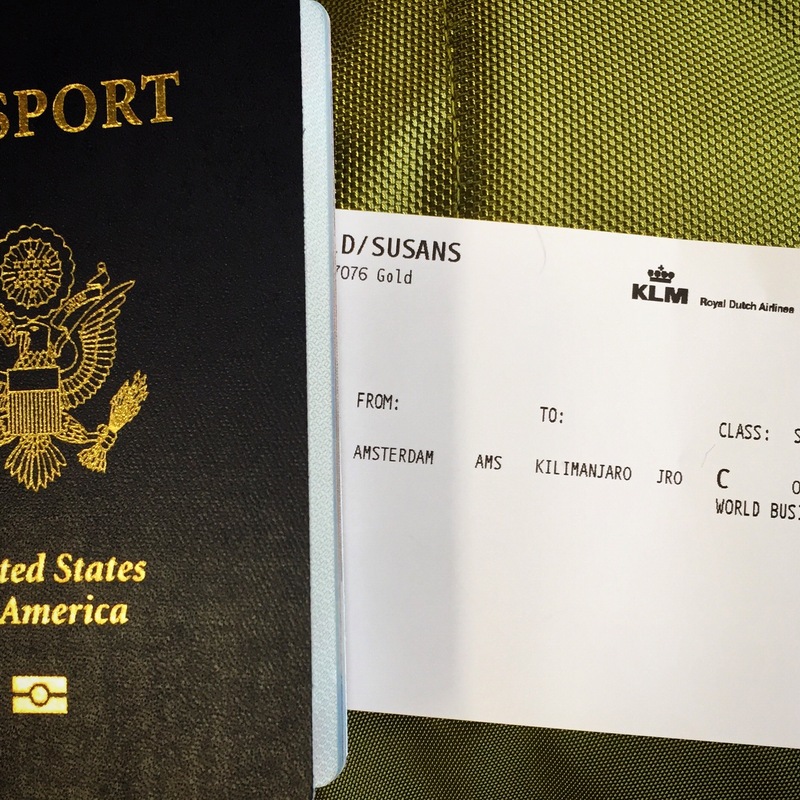 My large duffle bag didn’t arrive at Kilimanjaro airport and it turns out it stayed in Amsterdam for an extra night. KLM brought it to the ranch a day and a half later. Phew. 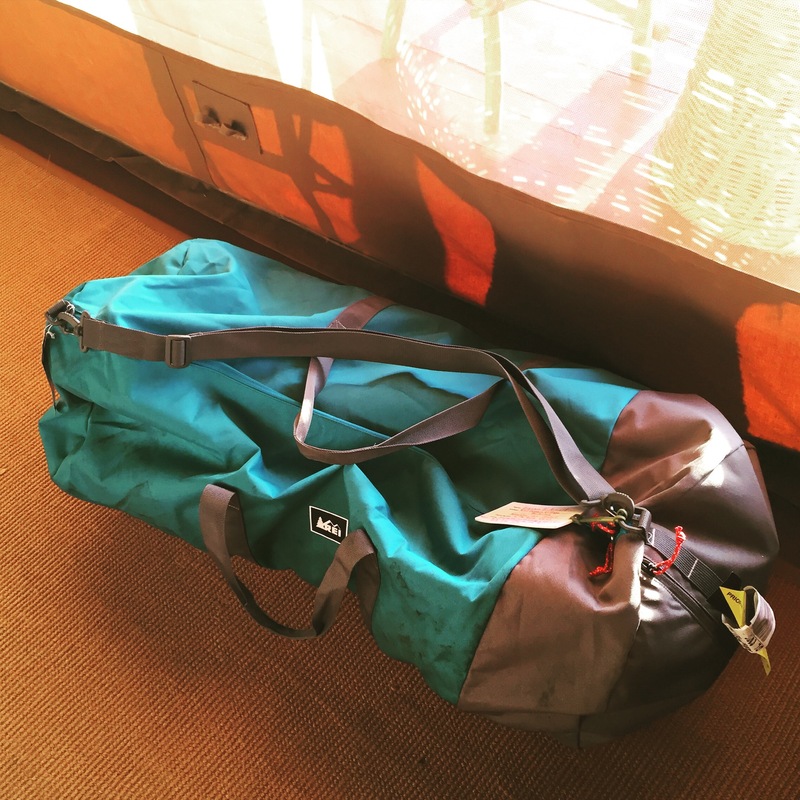 I needed that bag for my trek!